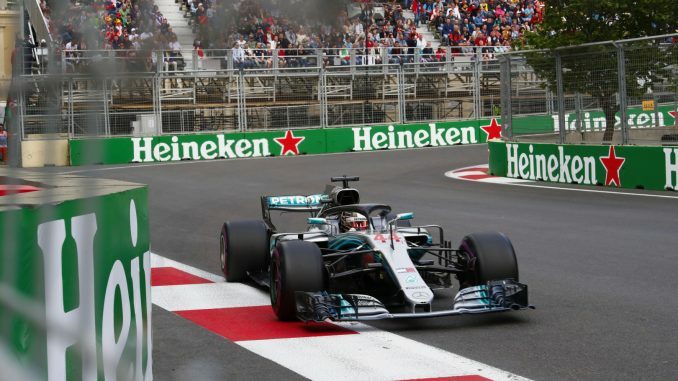 Lewis Hamilton avoided all the incidents in an eventful Azerbaijan Grand Prix to secure his first win of the 2018 Formula 1 season. 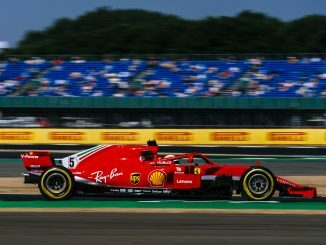 The current champion inherited the lead late on after teammate Valtteri Bottas suffered a puncture while leading, while Sebastian Vettel dropped down the order after running wide while attempting an overtake for the lead. Kimi Raikkonen finished second, while Force India’s Sergio Perez completed the podium despite picking up a five-second penalty for overtaking before the safety car. There was an early safety car following a couple of incidents on the opening lap, resulting in Esteban Ocon and Sergey Sirotkin’s retirements. Ocon hit the wall after colliding with Raikkonen, while the Williams rookie was left with a puncture after tangling with Fernando Alonso. Renault showed strong pace after the restart as Nico Hulkenberg and Carlos Sainz both got past the Red Bulls, but the German’s race came to an abrupt halt when he struck the wall. Max Verstappen moved up to fourth, getting past his teammate on the opening lap, but Daniel Ricciardo looked the quicker of the two drivers, looking for a way back past his teammate. The Australian managed to find a way through just before the pitstops, but once Verstappen came through the pitlane it was the Dutch driver who moved ahead. Ricciardo tried to find a way back past Verstappen, and lined up a move down the pit straight, but ran into the back of his teammate, putting them, both out of the race and bringing out the safety car for the second time. 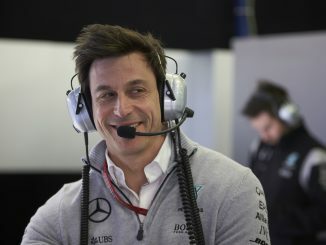 The safety car allowed Bottas to come in for his pitstop, having gone long on his opening stint, and get back out ahead of Vettel to take the lead of the race. Romain Grosjean complained of cold tyres during the second safety car, ultimately colliding with the wall to extend the safety car period further. After the Haas was cleared, the remaining drivers had just four laps of racing. 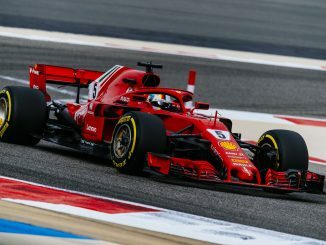 Vettel tried to retake the lead on the restart, but locked up his tyres trying to get past Bottas, allowing the Finn to retain the lead, while Hamilton and Raikkonen also moved ahead. The move left Vettel with a flat spot, giving Perez the opportunity to move up to fourth. It looked like Bottas was heading towards Mercedes’s first win of the season, but a cruelly-timed puncture meant he didn’t make it to the end of the race, handing victory to Hamilton. Vettel closed in on Perez in the final corners, but didn’t have enough to get back ahead of the Mexican, who picks up his first points of the season. Elsewhere, Charles Leclerc and Brendon Hartley secured the first F1 points of their careers, both avoiding all the carnage to finish in the top 10, while Lance Stroll was also among the points for Williams. Stoffel Vandoorne had a difficult day with flatspots, but put new tyres on during the second safety car to finish on fresh rubber to help McLaren to a double points finish.